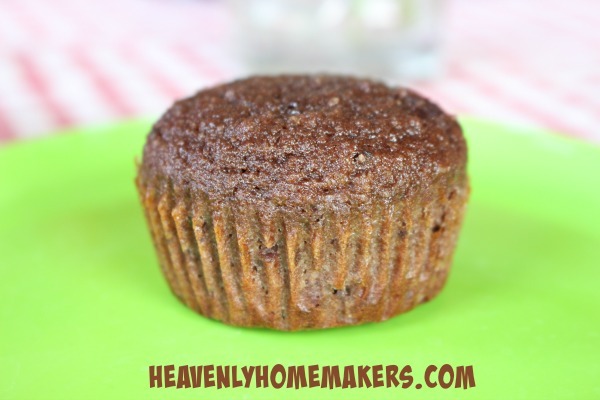 Whether or not you need to eat a gluten free diet, you will want to make and enjoy these fabulous and highly nutritious 6-Ingredient Coconut Flour Chocolate Cupcakes! Wait until you hear how and why we came up with this recipe. Birthday cake? Well yes. This was part of the plan because Justus happened to be turning 18 the day his eating challenge ended. Perfect timing, eh? While I loved this challenge the boys had set their minds to, I was also very cautious. Justus has zero body fat and is extremely active, so I watched carefully to be sure he was getting plenty of good carbs, good fats, and good proteins along with his fruits and veggies. He realized only two days into the challenge that he needed to keep a big supply of easy and filling snacks around the house so he would stay full and energized throughout the day. He made himself Chicken Cheeseballs, Simple Crunchy Ranch Chicken Strips, Honey Sweetened Fat Bombs, and Low Sugar Crustless Cheesecakes. 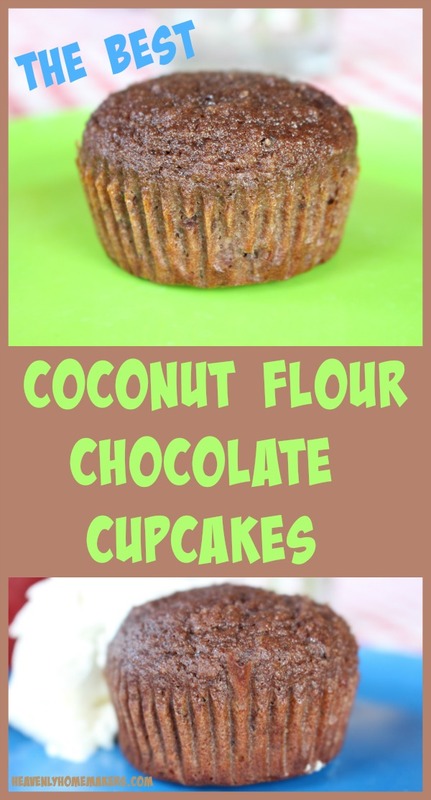 I truly think eating treats like these Coconut Flour Chocolate Cupcakes can be good for all of us! Coconut flour is a wonderful source of fiber, protein, and fat. It’s grain free so it gives our bodies a break from all the wheat or rice we often consume. I plan on serving these to my entire family for breakfast and snacks long after Justus’ special diet ends. I tend to shop around to find the best price for Coconut Flour and have even discovered that our local Wal-mart now carries it. 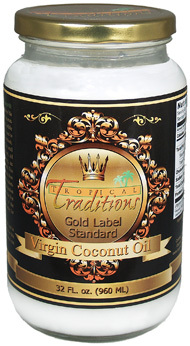 A little Coconut Flour goes a long way, so keep that in mind as you shop for this gem. 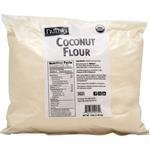 Amazon has a variety of Coconut Flour options. Here’s a good one for a good price! 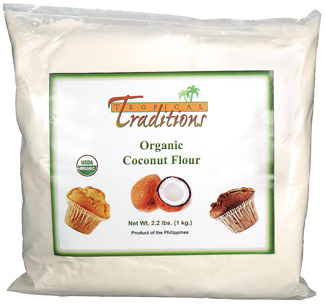 Healthy Traditions carries a top-knotch brand of Coconut Flour. I only purchase from them if they are offering a sale paired with free shipping. iHerb is a great option. They offer a variety of quality brand names to choose from. You’ll notice that most Coconut Flour recipes call for a significant amount of eggs. This is because Coconut Flour is very dry. Eggs provide liquid needed, plus “stickability” in recipes. I love that combining Coconut Flour with so many eggs makes treats like this so high in protein and good fat! 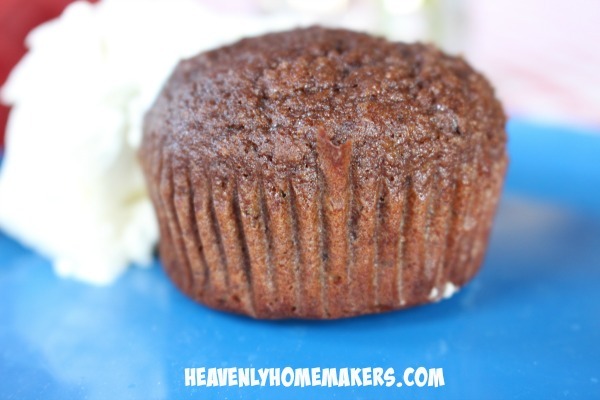 Ready to enjoy these amazing Coconut Flour Chocolate Cupcakes? 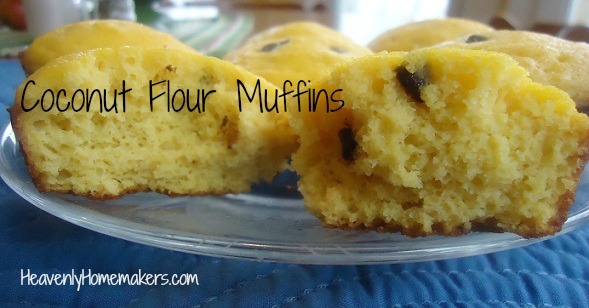 Scoop batter into 12 paper-lined muffin tins. I personally love these cupcakes with a big scoop of Stevia-Sweetened Cream Cheese Frosting spread over the top or plopped onto the plate. Whip ingredients together in a blender or with a hand mixer until smooth. If you don’t mind the added sugar, sprinkle some chocolate chips on top of each cupcake before baking. Add nuts if you like. What are your favorite ways to get plenty of good carbs, fats, and proteins? 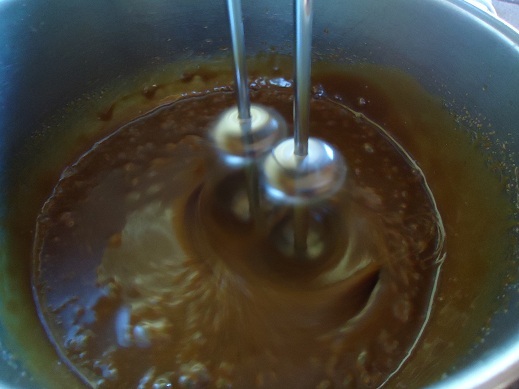 Perhaps you are excited as I am about the Easy Peanut Butter Pudding recipe I shared a few days ago. 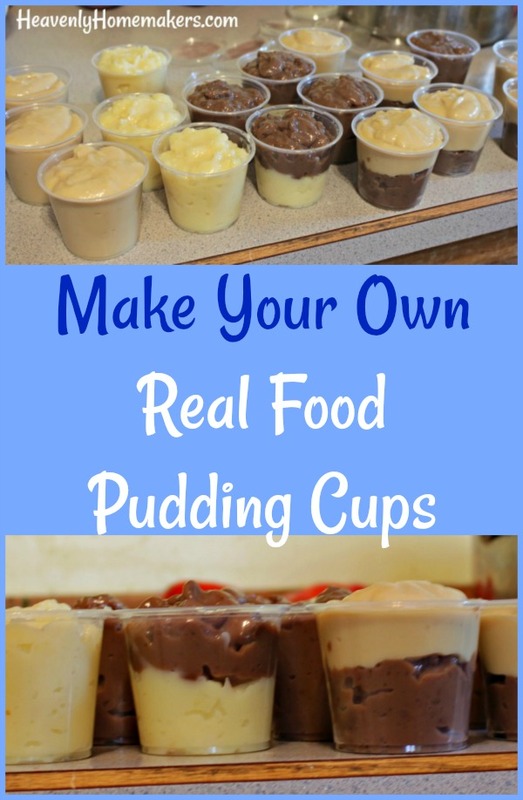 If so, you can get even more excited about how you can make different varieties of homemade pudding to create your own transportable Real Food Pudding Cups! Not only are these Pudding Cups made with real food, you will be amazed at the low cost for such a wholesome treat! Take note that some people (who shall remain nameless) tried to overfill their cute little cups and then the lids wouldn’t go on. Correction: The lids did go on, but pudding pushed up and over the top through the lid and squished down the sides of the cup, ruining the cuteness and creating a mess. I don’t know who would do this, but some people did this, so don’t be one of these people. A couple years ago I discovered these awesome BPA Free Cups with Lids at Amazon and have used them over and over. We’ve used them for applesauce cups and for transporting berries or veggie dip. They come in super handy! And now, we learn that we can use them to make these Easy Homemade Pudding Cups. I recently checked the price and ingredients for pudding cups at the store. First of all, the store-bought pudding cups sit on a shelf instead of in a fridge, so we can be sure there are many preservatives included. The biggest reason to avoid these is that they include two kinds of hydrogenated oils plus vegetable oil, none of which can our bodies digest well or utilize for nourishment. Cost for store-bought is roughly $0.25 for a 3.25 ounce cup. 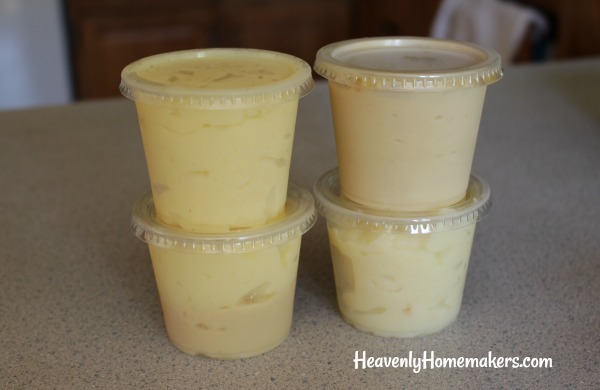 How much do Homemade Real Food Pudding Cups Cost? I used all real food, organic ingredients and my cost break down was still surprisingly low! So if you use non-organic ingredients you might find yourself saving even more! I estimated that one batch of pudding cost me about $1.75. This made six 5-ounce cups of pudding, which breaks down to $0.29 per pudding cup! But since the cups I’m using are slightly bigger than store-bought pudding cups, the price per ounce of homemade pudding is actually less expensive than purchased pudding cups! How about that? 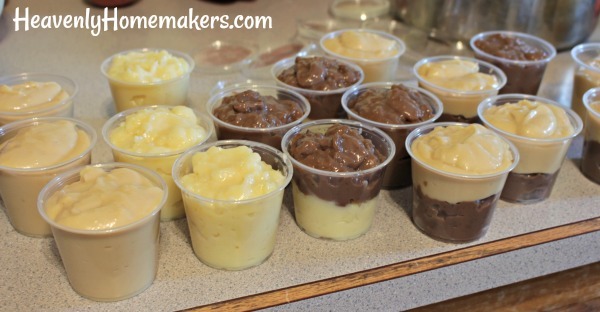 Making Real Food Pudding Cups saves us money and ensures that we’re getting a wholesome, filling snack or dessert! You can have fun making pudding varieties and mixing and matching fun flavors! Reuse the disposable cups (they wash up easily!) to save even more. Adjust the sugar amount in each of these recipes to your liking. Take note also that you can use any sweetener you choose, from maple syrup to honey, brown sugar, or sucanat. These Pudding Cups freeze well! Make a bunch ahead of time, then pull out a few at a time to thaw as needed. What can you do with extra egg whites after making homemade pudding? These pudding recipes call for egg yolks as the egg whites tend to create a funny texture as the pudding cooks. I set the egg whites aside, store them in a jar in the fridge, then often add them to our scrambled eggs to use them up. Or you can make Coconut Macaroon Cookies. What’s your favorite variety of pudding? Do you have any other great ideas for utilizing these reusable plastic cups with lids? As is always the case this time of year, I have absolutely no idea who is playing in the Super Bowl. If it mattered to my husband it would matter to me. But it doesn’t, so it doesn’t. Make sense? Black Bean Salsa – Five healthy ingredients, it’s like a flavorful meal all by itself. Cream Cheese Salsa Dip – This is the easiest dip on the planet (2 ingredients!) and everyone loves it. Easy Veggie Dip – Oh my cucumbers. This is the very best way to enjoy raw veggies. It stirs together in about two minutes. Healthier Cheese Dip (a Velveeta/Rotel Knock-Off) – Who needs “processed cheese product” when you can have the real deal?! Hot Spinach and Artichoke Dip – Just like the kind you pay too much money for at a restaurant. Nacho Cheese Pretzel Dip – Just do it. This is amazing. Spicy Avocado Dip – My family devours avocados when we quickly mix this up. Hello, healthy goodness. Easy Cheesy Bean Dip – This also only includes five delicious ingredients. Easy and healthy – that’s how I roll. 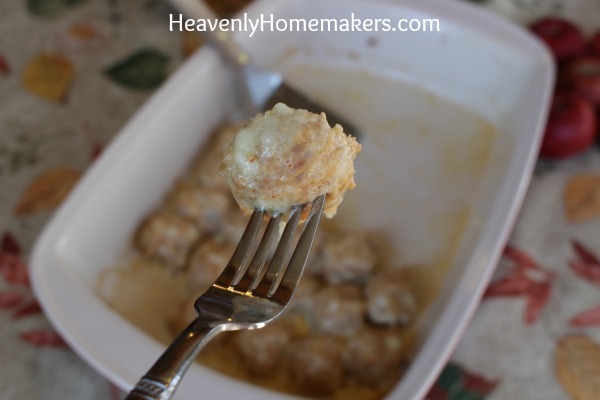 Hamburber Sauerkraut Dip – Even if you don’t like kraut, you will love this. It is incredibly good. 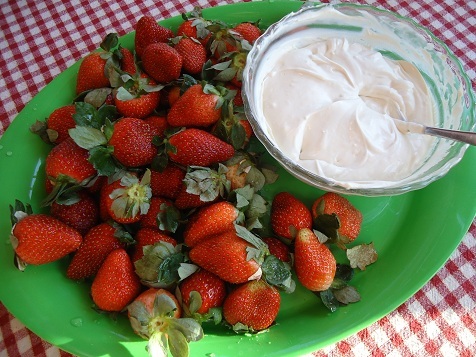 Cream Cheese Fruit Dip – This is like whipped heaven in a bowl, perfect with apples and strawberries. 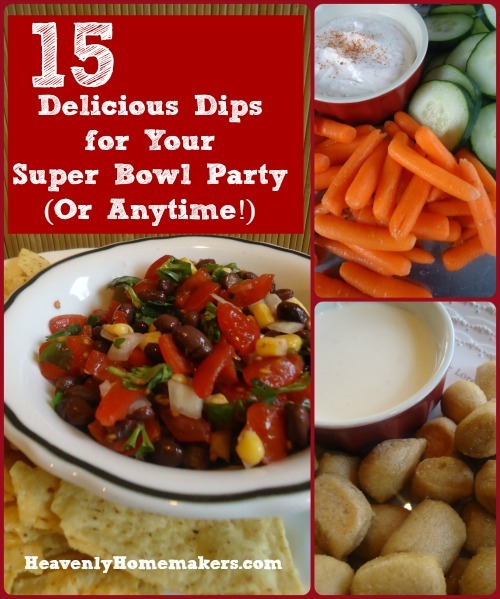 Not only will you find these 5 awesome new dip recipes, you’ll find 222 more healthy snack ideas and recipes too. From bars to muffins to hearty cookies to fruit and veggie snacks, you will be totally equipped with loads of healthy snacks to keep your and your family full and nourished! Get all the details about this book here. 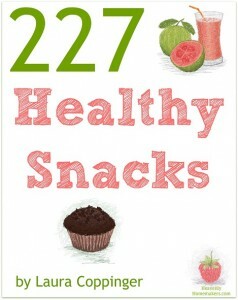 Grab your copy and start putting together these easy, healthy recipes! It’s been birthday week at our house, as our third son turned nine on Tuesday. We now have 13, 10, 9 and 6 year olds at our house (and two 37 year olds but never mind that). Birthday week means mom makes a special treat…usually a cake chosen by the birthday boy. I’ve tried to come up with healthier varieties of cakes and treats so that we’re not just consuming empty calories…even if it is a birthday. 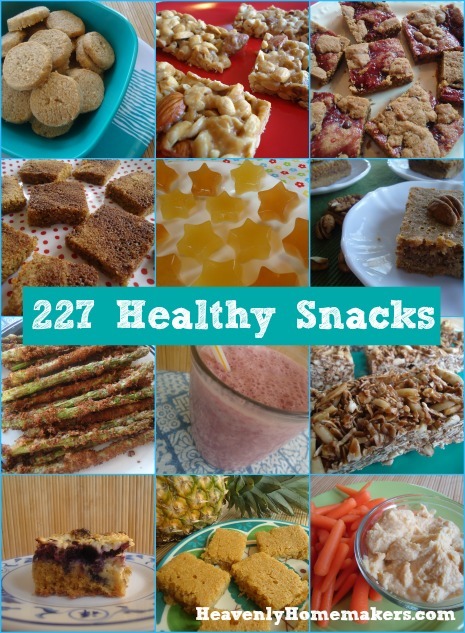 You can click through this entire section of Healthy Celebrations if you’re interested in finding other healthier varieties of treats I’ve shared in the past. 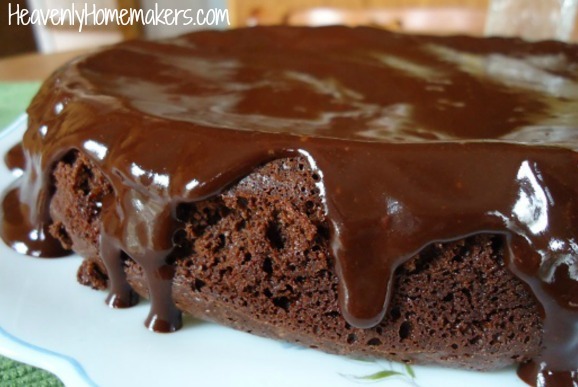 I mean, Lemon Pound Cake is delicious, but sometimes you just need Chocolate. Or is that just me? Regardless, hopefully you’ll find something fun that will please your sweet tooth in our Healthy Celebrations section…and I plan to continue to add to this category as I continue to experiment. If you recall, White Cake and Angel Food Cake are both on the Heavenly Homemakers Recipe Challenge list! For some reason, two of the last three birthdays celebrated at our house have included a Lemon Pound Cake. 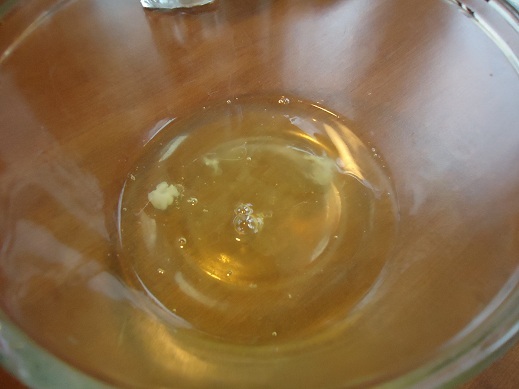 It has been fun to experiement with…although the first time I got a little bit carried away with the lemon juice. We were all pretty puckered up by the end of that cake. Whew! A little lemon goes a long way! With beaters, whip butter, sour cream, sucanat, lemon juice and vanilla. Add eggs, one at a time beating well with each one, or until you get tired of adding eggs one at a time…then just crack them all in and beat well. (Sometimes I get so lazy about individual egg cracking…) Beat in flour and baking powder until the batter is well mixed. Use a fork (or a spoon or a whisk or whatever is clean at the moment) to mix the two ingredients. Drizzle the glaze over the cake. You can even use a toothpick to poke a few holes in the cake before you start to drizzle so that some of the glaze goes down into the cake!! So are you a lemon lover? Does lemon make you pucker? Have you ever been one of those parents who have given their baby a lemon wedge, just to see the face they make? Sucanat: Organic dehydrated cane sugar juice – my favorite form of natural, unrefined sugar to use in cookies and cakes. Recently I learned that you can use sucanat to make your own powdered sugar. It’s very cool! You can substitute sucanat one for one when a recipe calls for brown or white sugar. Rapadura is the same thing as sucanat…just with a fancier name. Rapadura is usually a little more expensive. White Sugar and Brown Sugar: Refined sugars that have been stripped of most their nutrients. You can read more about natural sugars and sweeteners I recommend (and don’t recommend) here! Well…I wish this frosting was a little less…tan. But, what can we expect when we make frosting from our homemade sucanat powdered sugar? 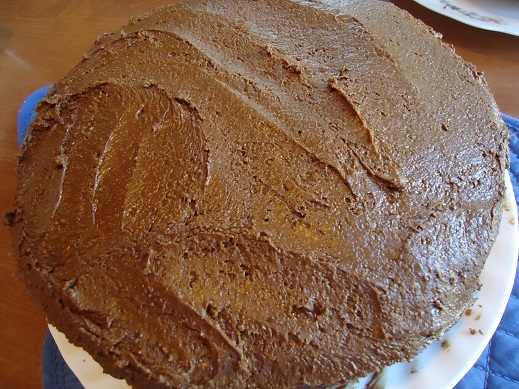 The darkness of the sucanat is easily disguised in this Chocolate Fudge Frosting, but there’s no way to make “white frosting” unless you use regular powdered sugar. Oh, except that Baking Mama mentioned in my Cream Cheese Frosting post that you use honey granules to make powdered sugar, which makes an unrefined, but whiter frosting. I’ll have to look into honey granules. 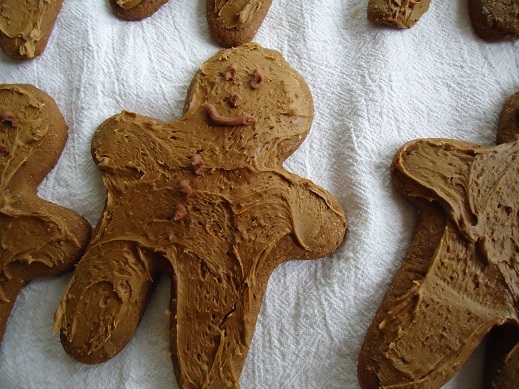 I did find that this Sucanat Powdered Sugar Frosting worked great for Gingerbread Men. I’ll share a recipe for those fellas later! 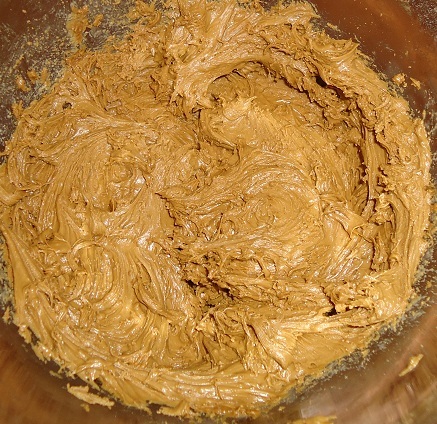 I think this frosting would also be good on just about any cake you make…it has a very rich flavor. Blend all ingredients together with beaters, adding your sucanat powdered sugar a bit at a time until your frosting is the consistency you would like it to be. I hope you’re having a lovely time at our brunch. If you haven’t had a piece of Easy Breakfast Casserole, go ahead and help yourself. 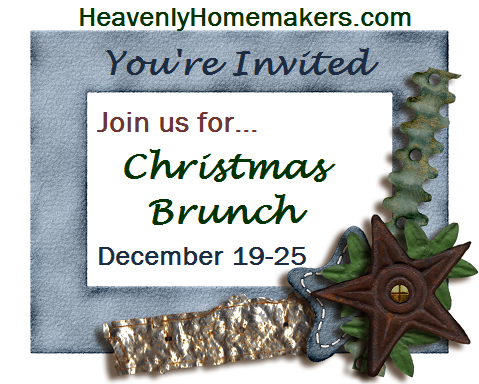 Be sure to leave a comment for a chance to win one of our Christmas Brunch Presents! Coming up next on the menu: It’s Gratituesday time…which will hopefully offer you a little Christmas Brunch encouragment during this busy time of the year! I’ve had several requests for a good frosting to use for decorating sugar cookies. I’ve worked on a “sucanat powdered sugar frosting” and will share the recipe in a few days. Obviously that frosting is going to be a bit on the brown side and is probably not quite what you’re looking for in a Christmas cookie frosting (unless you’re frosting Gingerbread Men). Today I have two Cream Cheese Frosting recipes to share with you. One uses unbleached organic powdered sugar, which has no nutritional value, but at least it’s not bleached or filled with pesticides. It is very much a compromise food, but we’re talking about Cream Cheese Frosting here. At Christmas time. Don’t go crazy, but if you’re gonna frost some sugar cookies anyway, you’ve gotta make sure you really enjoy the taste of the splurge! 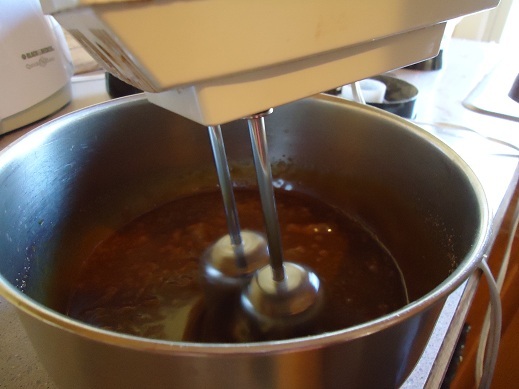 The second recipe I’ll share uses honey or real maple syrup for sweetener. This frosting doesn’t work as well on cookies…it’s fluffier and better on cakes. BUT, since it uses honey or maple syrup, it’s one step healthier than the unbleached organic powdered sugar variety. 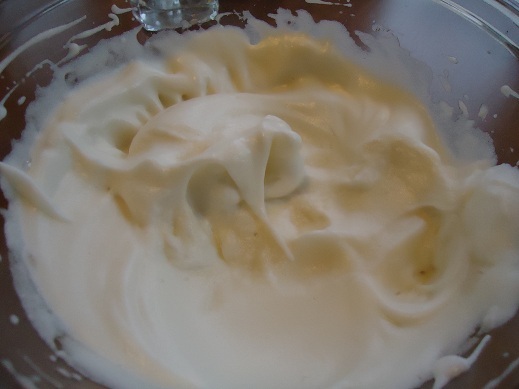 Whip cream with a mixer until soft peaks form. 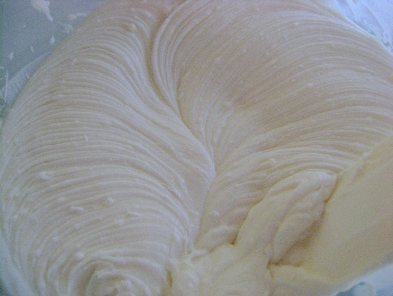 In a separate bowl, mix cream cheese, honey and vanilla until creamy. 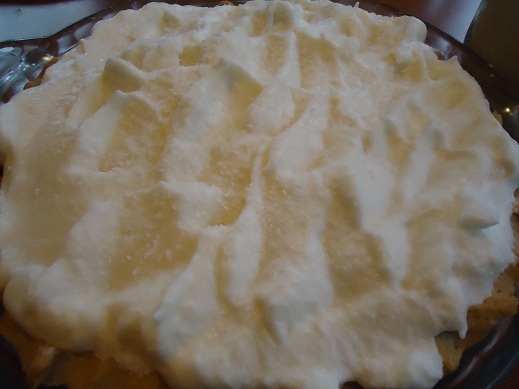 Fold cream cheese mixture into whipped cream. You can make your own cream cheese very easily! 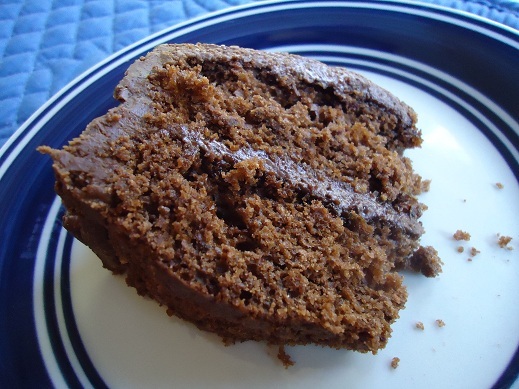 I do prefer store bought cream cheese in these recipes however as the homemade cream cheese is cultured and therefore a little too sour for my taste in these frosting recipes. I will admit right here and now that if something has cream cheese in it, I have a hard time staying out of it. I CAN NOT make either of these frostings very often because I love them too much. Are you a cream cheese lover like I am? It’s “pie time” right? Otherwise known as “the holidays”. 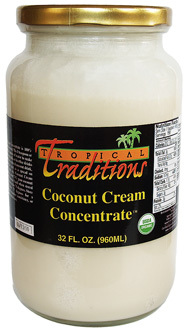 I know we typically think about pumpkin pie (er, squash pie) right now, but Tropical Traditions just sent me a fabulous big box of baking supplies and I decided that a Coconut Cream Pie was in order. And just you wait until you finish reading about this recipe because you’ll have a chance to win an even bigger box of baking supplies! I couldn’t be happier for you! This is one great baking supply box giveaway!!! 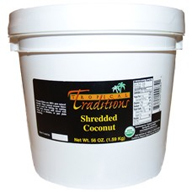 I received from Tropical Traditions: Organic Coconut Flour, Organic Palm Shortening and a big bucket of Organic Shredded Coconut. See, told ya I just had to make a Coconut Cream Pie. With my Organic Coconut Flour, I could have made a gluten free pie crust, which is so cool. 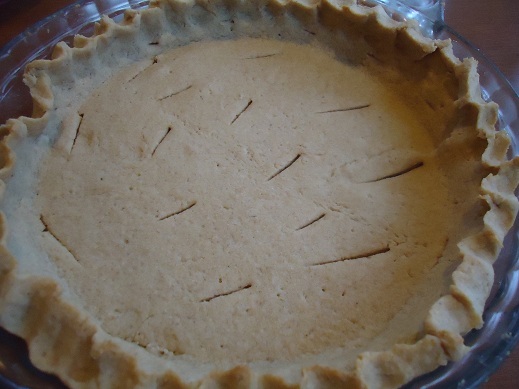 I opted to use this Whole Wheat Pie Crust recipe instead, using the awesome Organic Palm Shortening. 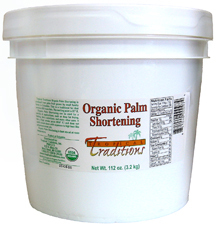 I’ve said it before and I’ll say it again..I LOVE TROPICAL TRADITIONS PALM SHORTENING. Among other things, it makes wonderful, delicious, healthy, flaky pie crusts! So, to make a Coconut Cream Pie, you need a pie crust. Bake it and let it cool. For the filling, I used my Creamy Vanilla Pudding recipe and threw in some shredded coconut. 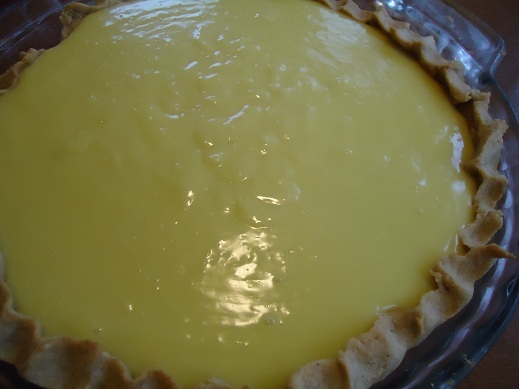 In a medium saucepan, whisk together milk, egg yolks, maple syrup, arrowroot powder, salt and shredded coconut. 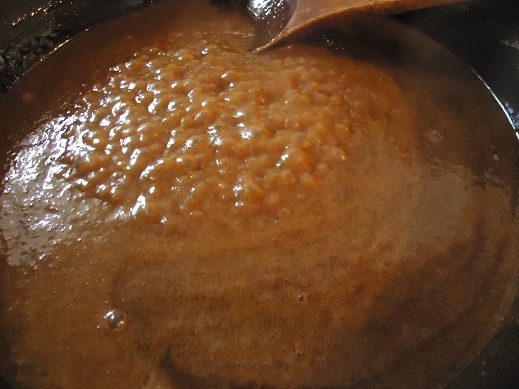 Cook over medium heat, stirring constantly with a whisk until pudding begins to thicken. Remove immediately from the heat, and continue to stir until pudding is creamy. Add butter and vanilla and continue to stir until mixed. 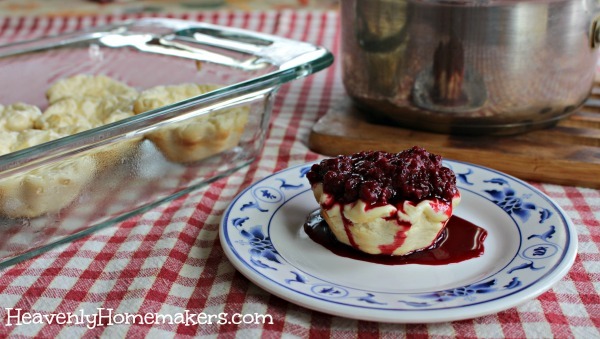 Pour this mixture into your baked and cooled pie crust. You saved your egg whites, right? Whip ’em up good with beaters. 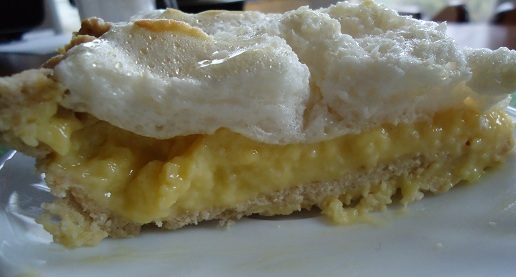 Add about one Tablespoon of real maple syrup to the beaten egg whites, beat them just a little bit more, then spread the meringue onto the pie. Sprinkle a little bit more shredded coconut over the meringue. 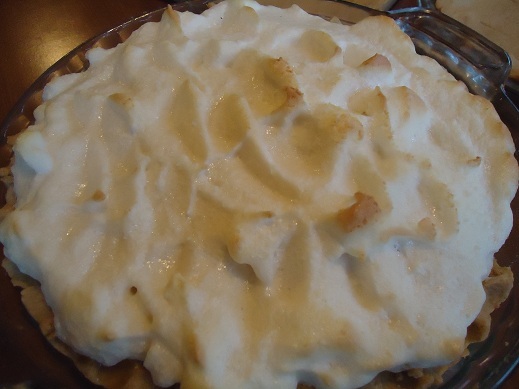 Put the pie into a 350° oven for about 10 minutes or until the tips of the meringue are slightly browned. Watch it carefully so that it doesn’t over-brown! Is that not the most exciting baking prize? You can make so many tasty holiday treats with this package! This gift works for those of you with gluten free needs, and those without! Leave a comment on this post for a chance to win. I’ll draw a random winner on Saturday! Also, you can subscribe to learn about Tropical Traditions sales and specials…a great way to learn about discounts and free shipping!! This giveaway is now closed…thanks! 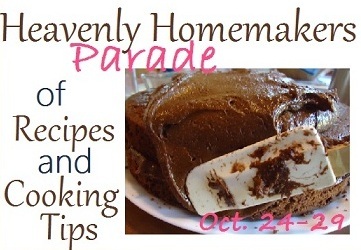 Healthy Celebrations section of Heavenly Homemakers! This Caramel Frosting recipe is very exciting because you can make it with your very own homemade powdered sugar!!! If you don’t have sucanat or you don’t feel like making powdered sugar, DO NOT substitute regular pre-made powdered sugar. This recipe won’t taste very caramelly if you use the white stuff. (I made up that word. It is pronounced: care-uh-mellleeeeee. I like it.) If you do need to make a substitution, use regular ol’ brown sugar. You do need to know that this recipe takes several minutes to make. 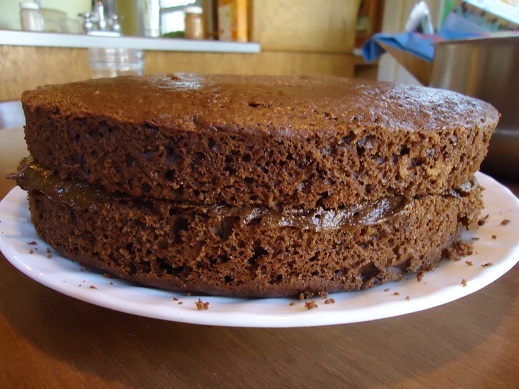 It isn’t hard to make, you just have to beat it (and beat it and beat it…) for several minutes to turn it into frosting. I had my kids take turns holding the beaters while I made the donuts to go with the frosting. They were making frosting…they did not mind holding the beaters. Oh look, only four ingredients!!! Place sucanat powdered sugar, butter and cream in a pan on the stove. Cook until butter is melted. Bring mixture to a boil and boil for one minute, stirring allthewhile (I made up that word too. It is pronounced ahll-thuh-wyle. It means – keep stirring for the whole minute and whatever you do, don’t stop). Remove this from the heat and pour it into a mixing bowl. 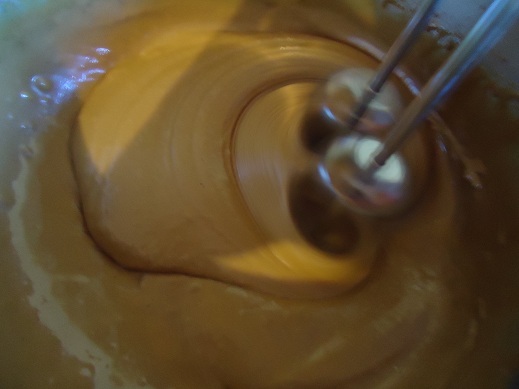 Beat mixture with electric beaters for 15 minutes or until it thickens and becomes spreading consistency. Add vanilla and beat for a little bit longer, because you just love beating your frosting and you know it. Hello there. We are still beating our mixture. Wow, will you look at that? 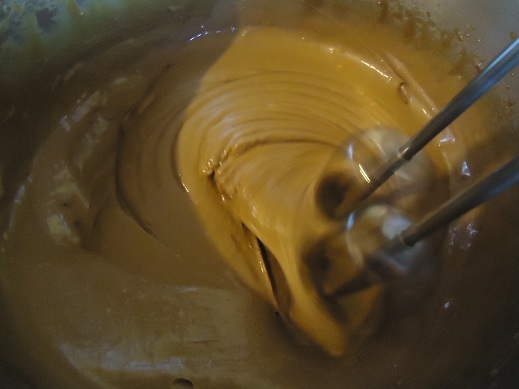 It’s been about eight minutes and not only is the frosting getting thicker, it is turning a nice shade of…what shade of brown would you call that? Caramelly? Almost done. I think we’ve been beating for longer than fifteen minutes. What is that about? 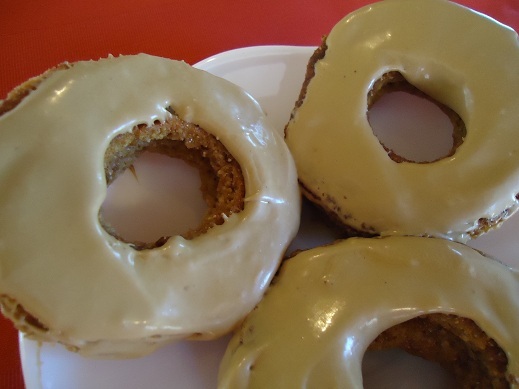 Sure enough, we were able to spread this Caramel Frosting on our donuts. 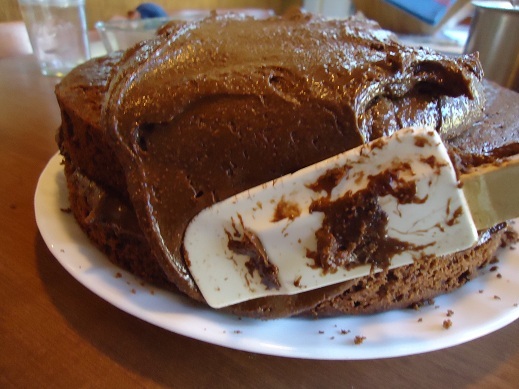 The moral of the story is this: Just when you think you can’t possibly keep beating your frosting, stick those beaters back in the bowl and KEEP BEATING. Hey, if you’re alone in your kitchen, it’ll be good prayer time. Who says you can’t pray over your bowl and beaters? The other moral of the story is this: Good things come to those who beat. For a long time. 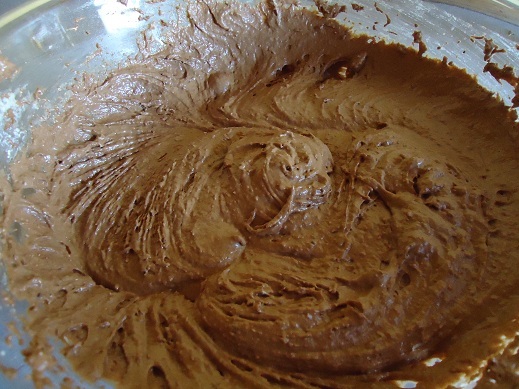 When you eat this frosting on a cake or on donuts or on cookies…you will recognize that the beating was all worth it. 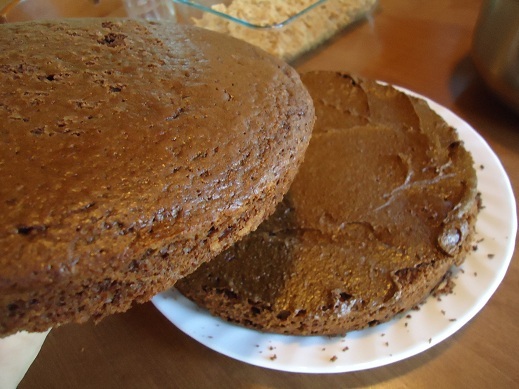 This recipe is great because you can soak the flour to break down the phytates if you want. Or if you don’t, that’s okay too. If you choose to soak your flour, mix the 2 cups of whole wheat flour with the 1 1/3 cups buttermilk. Cover and allow this mixture to soak overnight on the countertop. Add remaining ingredients (everything but the frosting, that is) and bake as directed. Mix dry ingredients together in a large mixing bowl. Add eggs, oil or butter and buttermilk. 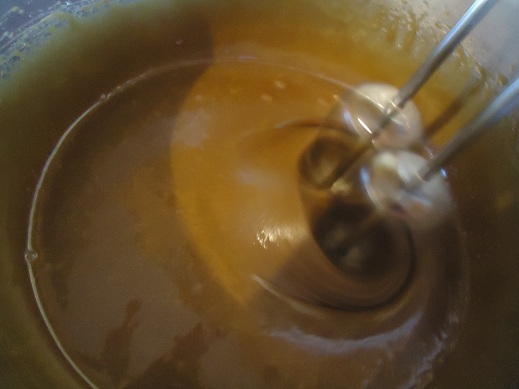 Mix with beaters until batter is smooth and well mixed. Work very hard to avoid grabbing a spoon and eating the entire batter directly out of the bowl before it has been baked. 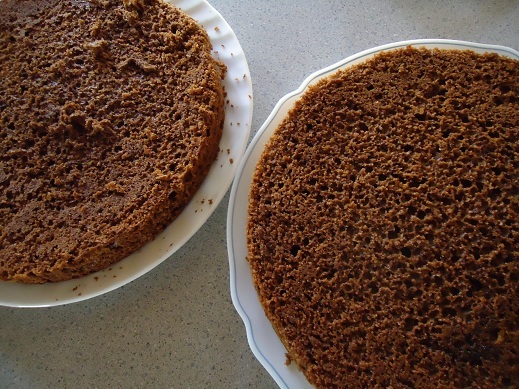 Bake round cakes at 350° for 25-30 or a 9×13 inch cake for 35-40 minutes. OR, leave the cakes in the oven until a toothpick poked in the middle comes out clean. Every oven is different, right? 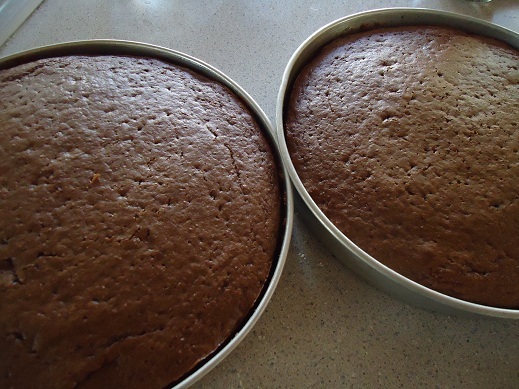 Allow the cakes to cool completely before removing them from the pans. I used a butter knife to loosen the edges from the sides of the pan. Place the cakes on plates. 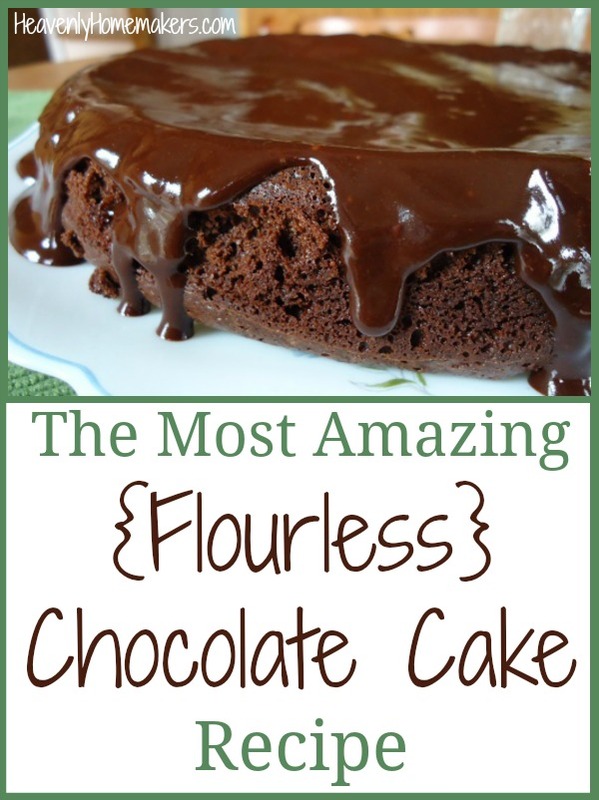 Did I forget to mention that you would need some of this Chocolate Fudge Frosting? Oh yes, you DO need a batch of this Chocolate Fudge Frosting. 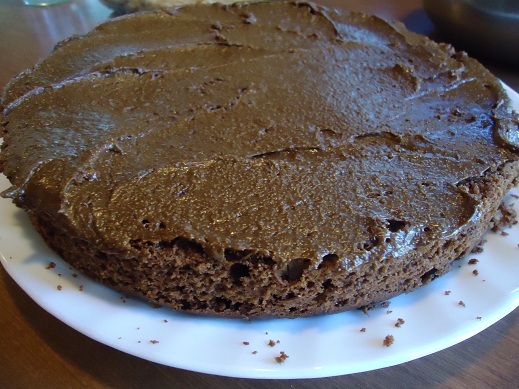 Plop a nice amount of frosting on one cake and spread it around well. 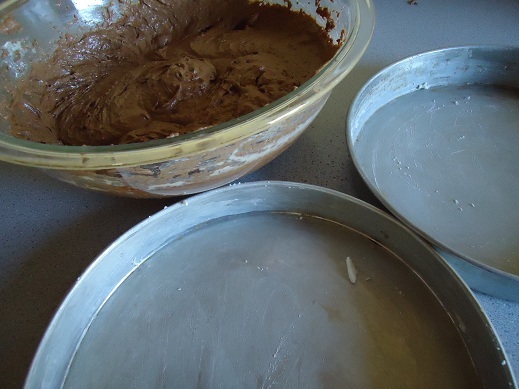 Carefully place the other layer of cake on top of the frosted layer. Oh look…it’s a chocolate fudge sandwich!! Plop another nice amount of frosting on top of the second layer. Carefully spread the frosting over the top and sides. This step is not very easy for me and I’m usually messy and have to lick my fingers. Bummer. I will work (sometime within the coming months) to come up with a white cake and white frosting. However, when you’re using whole wheat flour and sucanat, the results are not going to be white. 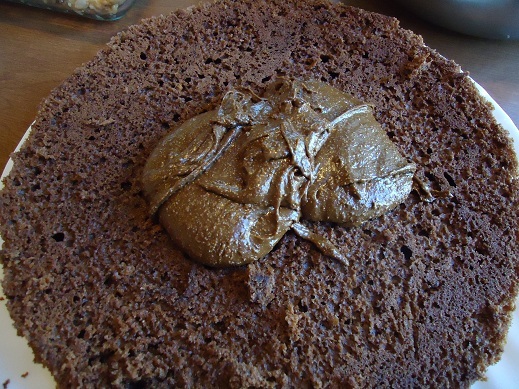 Anyone up for a Tan Cake? Mmm, sounds good to me! Get ready to share YOUR recipes Friday!!! Can’t wait to see what you’re going to share!! !